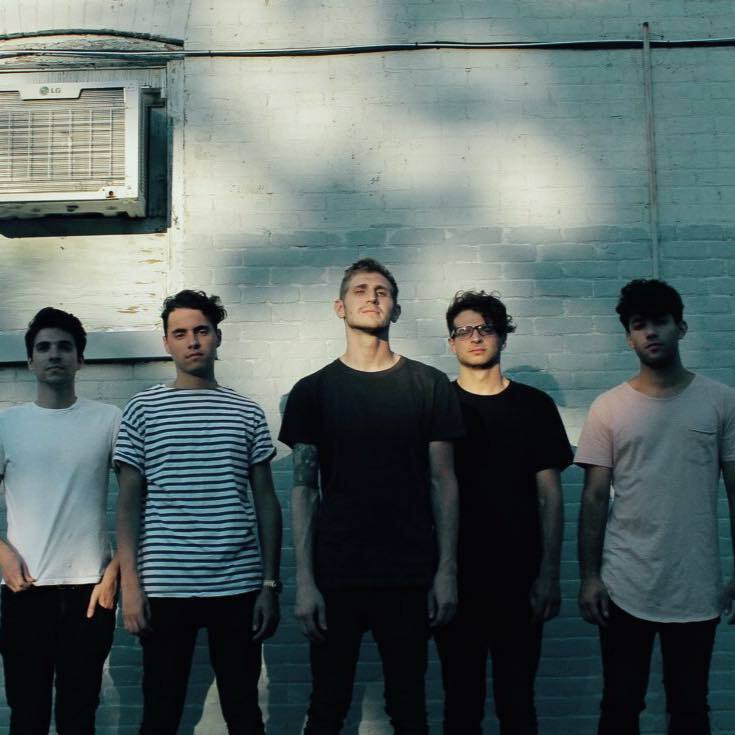 Nick Micheline, lead singer of Long Island indie pop band Mayve, presents these statements as the conceptual premise, and underlying explanation, behind the shape and feel of the quintet’s newest EP, Motion, which is out today (independent, 2017). A seven track follow up to debut EP, Animals (independent, 2016), Motion comes across less about living in the moment and implication-less imaginings than its predecessor, while still presenting plenty of the light sounds and sparkly instrumentation that made Animals so easy to latch onto amidst the cold of last winter through the long days of last summer. Using this EP as their new medium and outlet, Mayve have expressed an aspiration to emphasize the band’s recent practical changes and emotional transitions through what was the opposite of a mundane year for the band. Little shards of fleeting but poignant intensity – like the very reverb laden and slightly distorted, but clearly tumultuous grate coming through Micheline’s shouting voice (But if you still give me nothing / next time you better think twice) – are gratifying reinforcements of the group’s intended emotional conveyance. The pairing of a sound style from more than 30 years ago with a desire to outline and narrate recent events of now makes for quite the contrast and gives the EP a touch of thoughtful depth and creates outsider intrigue that otherwise would not be warranted and instead render sound a concept a bit more one-dimensional. Breaking up the seven song outing with a seemingly matching pair of short, kick drum and quiet synthesizer-driven, interludes at tracks two and five (titled “45d (enter)” and “45d (exit)” respectively), Motion keeps the overall flow of its remaining songs at rather moderate tempos that hover safely, but not exceedingly, outside of the ballad zone – another song choice common of the 1980s. Exception to the group comes via single, “Cruel Intentions.” Its slightly faster, straightforwardly alternating kick and snare beat, coupled with a smoothly unfolded series of seven rapid, expansive and mostly descending guitar notes frame the kind of identifiable and catchy hooks for which Mayve’s pop leanings are known. 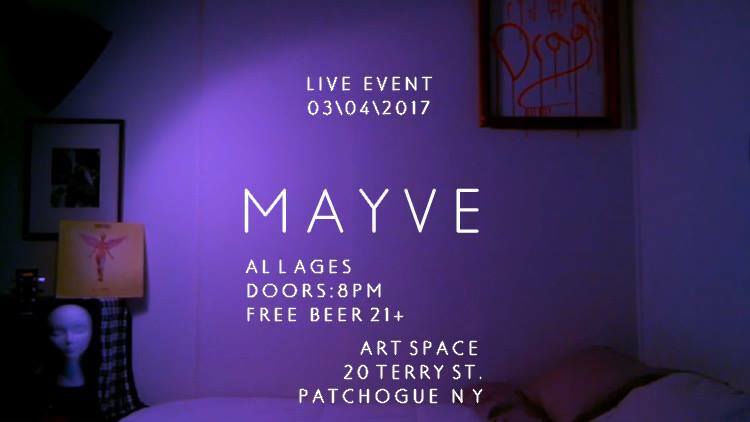 The closer of “A Motion” seems to embody Mayve’s intended dark alternative pop sound with the most impact; both dynamically and compositionally. While being slower and quieter as a finale (Now we’re caught in a motion / head on collision) – it’s a very full-bodied song. Much of Mayve’s other material on this EP, while a bit more somber with melodies and chosen central tonics this time around, still tends to retain a lightness due to things like the jangle of tinnier electric guitars (Stratocaster and Telecaster, as opposed to something fuller like a Les Paul or Gibson semi-hollow) and crystalline synthesizer tones. These sounds, with their thin sustainment and very focused timbres, are like somewhat of a sonic palate cleanser that probably unintentionally, cuts through what would often be otherwise more sonically contemplative and deliberate music. 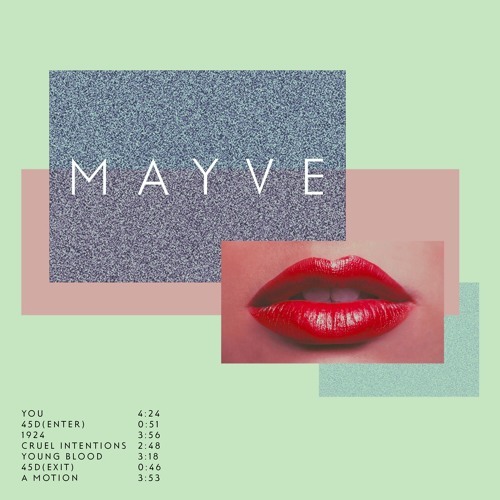 Choosing to keep these qualities in the music of Motion is understandable though, as they help Mayve provide an audible benchmark to their longer standing fans who know their Californian inspired and freewheeling pop sound from the previous EP. The band’s unsigned status sometimes tends to surprise, as their previous singles like “Hearts on Fire,” – which, like the rest of Animals, was self-recorded and produced – earned them sync placement and mainstream exposure (a feat not always easy without established label support). Though Mayve have undoubtedly put just as much dedication into recording and producing Motion as well, the vocals on this record aren’t always made to match the level of expanse or refinement bestowed to the instrumental parts, leaving an aspect of its design at times a little puzzling given Mayve’s apparent commitment to everything else about their chosen style for the EP. Collectively, by the end of Motion, it’s clear though that these five gentlemen have succeeded in navigating more than a few, often troublesome, junctures: expanding beyond their established initial sound to show flexibility, not drowning in the sophomore slump, but also not moving so far away from their sonic identity that there’s no connection between projects one and two. Motion isn’t a record that just sees Mayve going through the motions of releasing music and it’ll be interesting to see where this batch of songs ends up next! Mayve will be commemorating the release of Motion with a free, special live event on 4 March 2017. Full show details and accompanying teaser are below! Motion was recorded and produced by Mayve. Mastering was done by Joe LaPorta. Motion is available now from iTunes, Google Play, and Amazon. Stream it via SoundCloud and Spotify.